Face it, the Bucs did not have a stellar debut on defense. They allowed the Saints to score 40 points, roll up 475 total net yards and Drew Brees to pass for 439 yards and three touchdowns. Playing without starting cornerback Brent Grimes, who was out with a groin injury, the Bucs had to rely on several rookies such as cornerbacks Carlton Davis and M.J. Stewart. But what the Bucs did do well was create two fumbles. The first one even resulted in a defensive touchdown. 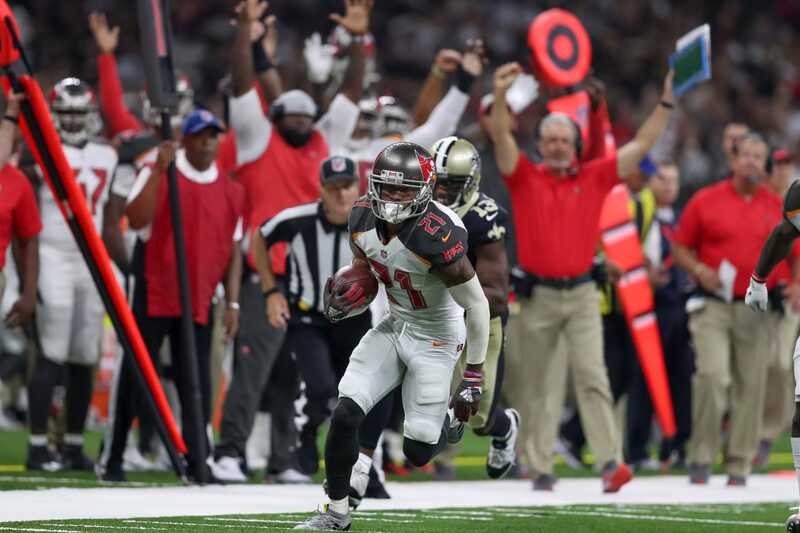 With the Bucs and Saints trading scores and Tampa Bay leading 24-17 in the second quarter, cornerback Vernon Hargreaves forced a fumble from running back Mike Gillislee and safety Justin Evans scooped up the loose ball and returned it 34 yards for a touchdown. In what has been a closely guarded secret for some reason, Koetter did give up the play-calling duties to offensive coordinator Todd Monken, who had that role in the preseason. Monken could not have had a better debut. The 48 points tied a regular-season club record and would've broken it had placekicker Chandler Catanzaro not missed a 44-yard field goal wide right. Koetter wouldn't elaborate when asked who called plays Sunday. "You were at the game,'' Koetter said. The Bucs used a second-round pick on Southern Cal running back Ronald Jones, hoping he would bring explosive plays in the running and passing game. But Jones was inactive Sunday. Peyton Barber, Jacquizz Rodgers and undrafted rookie Shaun Wilson were the running backs. Wilson also served as the Bucs' kickoff returner while Jones is not a major contributor on special teams. Jones had a difficult preseason, gaining 22 yards on 28 carries, a 0.79 average. But he ran behind the second and third-team offensive line. His longest rushing attempt was five yards. But with all injuries in the secondary, the Bucs felt sitting Jones was the solution. Hargreaves left the game with a shoulder injury and was wearing a sling on his right arm. Evans left the game with an undisclosed injury but returned. Cornerback Brent Grimes strained his groin late in the week and did not travel to New Orleans. The Bucs signed cornerback Javien Elliott from the practice squad Saturday and placed cornerback De'Vante Harris on injured reserve. Elliott was among nine defensive backs active Sunday.